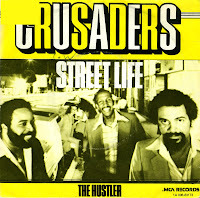 The Crusaders formed in 1961 as the Jazz Crusaders. Since then, they have released over fourty albums, including some live and compilation albums. Their biggest hit was the 1979 single 'Street life', with vocals performed by Randy Crawford, who would go on to have a very successful solo career. 'Street life' peaked at number 5 in the UK and number 13 in the Netherlands.